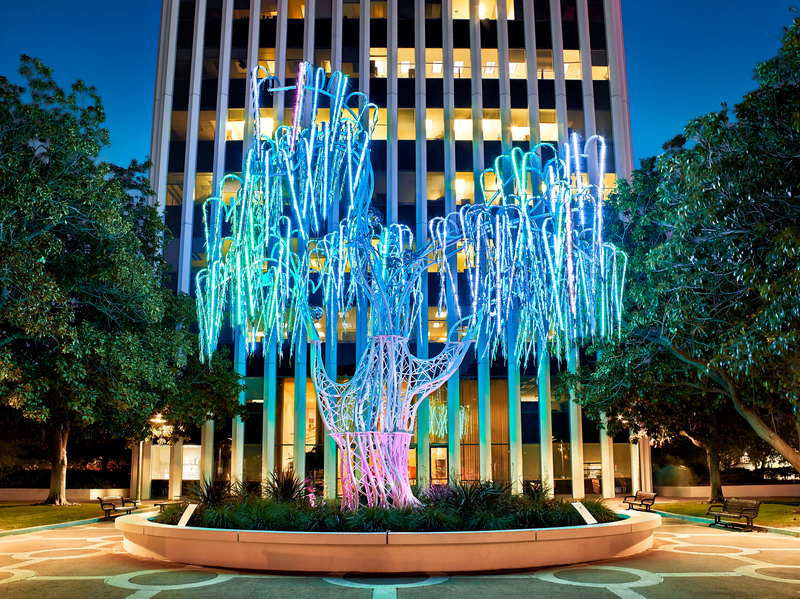 An interactive light sculpture titled Aurora installed at City Hall in Palo Alto, California. An interactive light sculpture titled “Aurora” installed at City Hall in Palo Alto, California. At night, the 40,000 LED lights of the tree rotate through the spectrum of colors. The sculpture was created by bay area artist, Charles Gadeken.